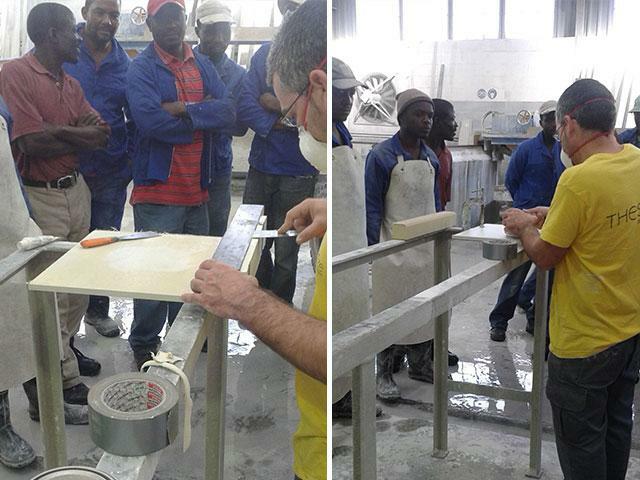 Local Cape Town fabricators were invited to join NEOLITH Spain’s technical experts for a training session on cutting and handling the material. 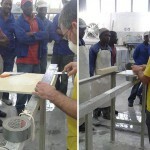 Expectant trainees gathered at a local fabricator workshop for a morning of training on which blades to use to cut the product, polishing 45 degree mitred edges and core drilling for correct cut outs for an underslung sink. 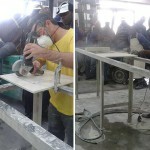 Trainees were taught were shown by the experts how to get the best results out of NEOLITH sintered porcelain surfaces. 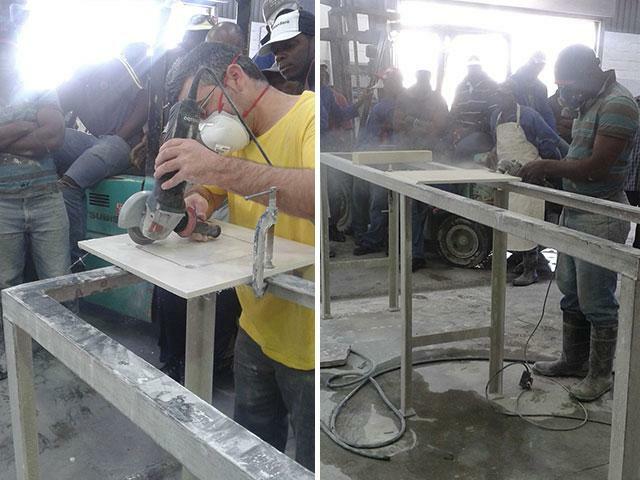 Lize Sparks, NEOLITH South Africa’s brand manager, is always excited for the Spaniards to visit, “We love having the Spanish NEOLITH team out to South Africa. 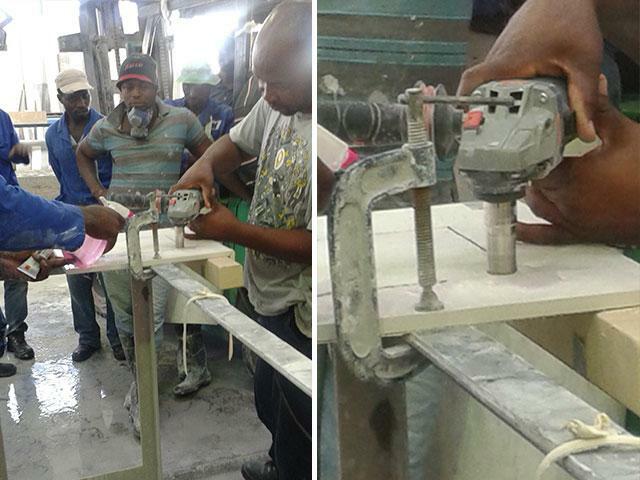 Their expertise is invaluable in equipping local fabricators and their staff with the knowledge and confidence to produce amazing results with the NEOLITH product”.International Slab Sales’ Cape Town branch manager, Chantelle Grobbelaar, says this type of training is invaluable, “I think it’s exciting to see the factory workers getting hands-on training, as it’s usually just the owners that get exposure to new techniques and materials and it can be overwhelming to try and pass on such specialist knowledge.” As the South African wholesaler and distributor, ISS is very supportive of training initiatives such as these. 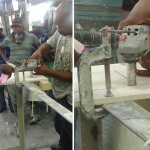 Chantelle adds, “If our fabricators have improved knowledge of handling and cutting our products, it can only benefit the designers and consumers – they are more likely to get a brilliant end result”. NEOLITH sintered porcelain is a beautiful, matte, surface material perfect for use in modern kitchen designs as kitchen countertops or for wall, floor, furniture, door or exterior cladding ideas. NEOLITH excels when used in ventilated facades or for fireplace cladding, as it handles long term exposure to heat, water and UV light with ease. 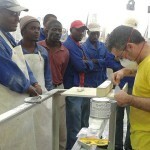 Try NEOLITH for all your cladding ideas, including commercial cladding or residential cladding.